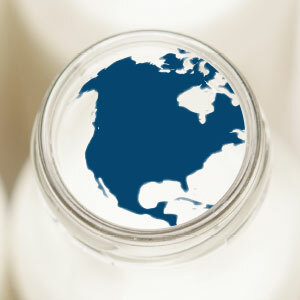 A strong start to 2014 overcame a weak finish to assure a fifth consecutive record for U.S. dairy exports. 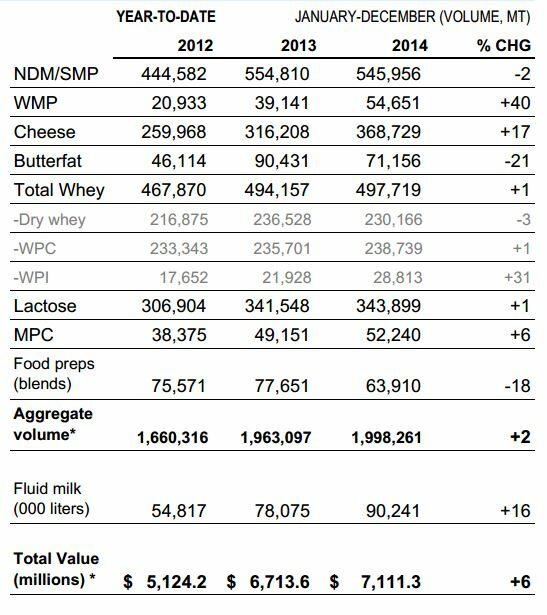 Despite finishing the year with five straight months of negative performance (compared to 2013), total U.S. dairy export value rose 6 percent to $7.11 billion. It was the first time value exceeded the $7-billion mark. But ongoing challenging market conditions clearly showed in December results. December shipments were $478 million, the lowest monthly total since February 2013 and 21 percent less than the same period the previous year. In 2014, exports to Mexico (+15% by value), South Korea (+39%) and Japan (+34%) were up significantly from the year before, offsetting a decline in sales to the Middle East/North Africa (MENA) region (-18%). Shipments to Southeast Asia, China and Canada were near 2013 totals. To see interactive charts on 2014, with comparisons to previous years, see usdec.org's U.S. export data page and scroll to the bottom.